Holstein dairy cows in a field in Sauk County, WI. Photo by Jeff Miller from UW-Madison, University Communications. Adams County is an example of this trend. Out of a population of about 21,000 it lost 400 residents in three years. If this trend continues, Wisconsin will see increasing population in its largest urban areas surrounded by shrinking rural populations. A similar trend has been noted in many parts of the U.S. In part, this reflects the increasing advantage cities enjoy in fostering innovation and entrepreneurship. But bad government policy also contributes. A recent article in the Milwaukee Journal Sentinel describes opposition in Adams County to a proposed dairy farm with 3,100 heifers. Because of its size, this operation is considered a concentrated animal feeding operation or CAFO. The opposition centers around the operation’s potential for water pollution and odors. Neighbors’ concerns are not helped by the operator’s very poor record when he ran a feed lot on the site. Nor are they reassured by plans for another CAFO with 4,500 cattle a half mile away. It appears the Wisconsin Department of Natural Resources is bending over backwards to allow the proposed operation. Rather than applying the normal state nitrogen standard of 10 parts per million it is proposing a much more lenient standard of 28 parts per million. While the article is not entirely clear on the DNR’s rationale, it appears the higher limit is because of groundwater contamination already existing due to the previous operation. Despite these concerns CAFOs have been growing, both in Wisconsin and nationally, because they offer higher productivity. The upside of higher productivity is that it helps reduce prices. The downside is that, by definition, it decreases labor demand. This is particularly true if, as with milk, demand for the end product is decreasing. And less labor means fewer people on farms. According to an article in the Wisconsin State Journal, Wisconsin has been losing dairy farms at an average rate of 470 per year over the past decade. Although there are many possible contributors to the depopulation of Wisconsin’s rural counties, the rapid expansion of CAFOs is certainly a factor. Fewer farmers means fewer people in rural counties and that, in turn, means fewer customers for local businesses. The growth of CAFOs also runs counter to certain trends in urban areas, including the growing interest in purchasing more natural and unique products, in knowing more about food sources, and in humane treatment of farm animals. Faced with declining demand, a business like dairy farming can consider two very divergent strategies. One would concentrate on further reducing costs. The other would find ways to add value for the customer. The present race for governor presents an opportunity to compare the costs and benefits of the two strategies. My administration will support legislation to require state agencies to review permit applications within 60 days of receipt. If the application is not approved or denied by the state agency within 180 days of receipt, the application will be presumed approved. These sentiments are very much in sync with the cost leadership strategy of economic development: drive down costs and get rid of government regulations. In the case of CAFOs, it also increases environmental costs and likely contributes to the trends of rural depopulation. A differentiation strategy would concentrate on finding ways to offer a unique value to the customer, ideally something that’s hard for competitors to copy. In recent decades, for instance, Wisconsin moved away from being the leader in the quantity of cheese created and has become the leader in quality, creating award-winning, artisanal cheeses that are unique to this state. (Some of the gourmet restaurants in Milwaukee and Madison serve these cheeses.) Expanding organic farming would be another example of differentiation. 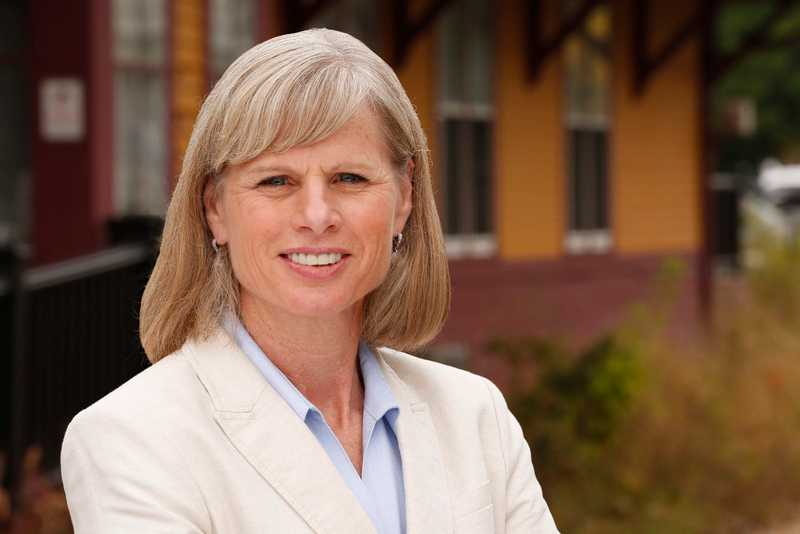 In her economic plan, Democratic gubernatorial candidate Mary Burke takes quite a different tack than Walker. She devotes several paragraphs to Wisconsin’s rural areas. Rather than concentrating on reducing costs and regulations, she emphasizes better serving markets and increasing the market value of farm products. These proposals include helping farmers meet the growing demand for organic foods and building food hubs connecting farmers to consumers. This approach would tend to increase the demand for labor in rural counties, counteracting rural depopulation. It is but one example of how the economic policies of Walker and Burke differ, something I’ll have more to say about in a future column. So Walker wants to lower food costs and thats bad? 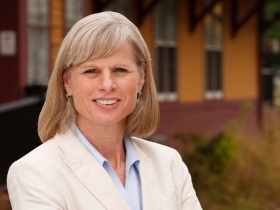 Burke won’t focus on the cost of food but is going to use her knowledge of organic produce to teach farmers how to grow more food organically and then oversee “food hubs”. You say that this will increase the amount of labor needed but as I am sure you know, that will increase the costs as well. 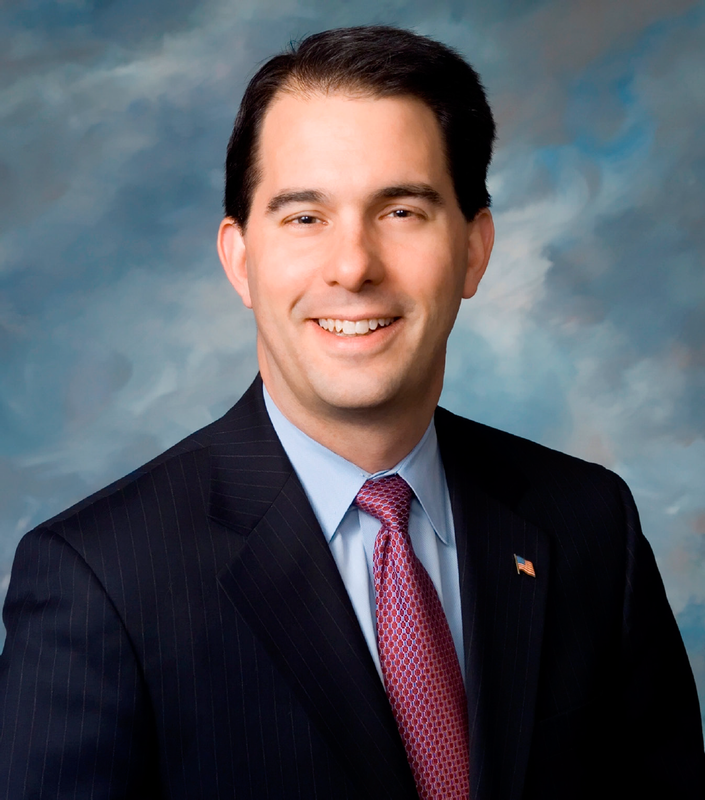 Yet another reason to vote for Walker. Keep up the great work Bruce. Bruce Thompson-Your articles all follow a similar theme. Wisconsin is a lousy place to live and you don’t like it here. It used to be great, but now Walker has ruined everything. So then why do you live in Wisconsin? Why don’t you leave? You are obviously very upset and need to find a better place to live. I suggest you move to Illinois. Things are great down there, as they have a progressive governor and a progressive legislature. They have no problems and even better our president used to live there! You will be much happier there. I will buy your ticket for you. As a resident of Kewaunee County this article resonates with me. There are currently 15 CAFOs and at least 3 dairy operations close to the 700 animal mark in our small community. At one time, it was a beautiful place to live but our current environmental issues relating to industrial agriculture are not welcoming to perspective small buiness owners, certainly not to young families. 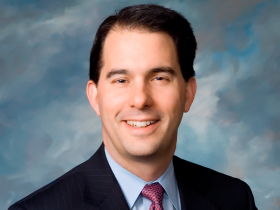 Walker is promoting exports at the cost of our own air and water. On average, 30% of our county private wells are contaminated, 50% in some townships yet expansions are permitted and violations ignored while other communities have water drives for our citizens. That is corrupt both politically and morally. 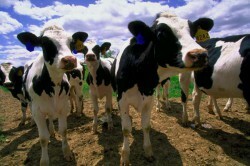 The lack of regulation of CAFO’s will have no impact on the price of dairy products. Take a class in ag econ. But lack of regulation will externalize the cost of operating the CAFO and place the burden on others. Like replacing a contaminated well at $5-10K per. Or having the cost of road repairs needed due to over weight ag equipment subsidized by all the resident rather than those causing the problem. Regulating the large farms can be a good thing. But stopping them from being created? I don’t know that we can… if younger generations do not want to take over the farms, do we just let the land sit idle? It doesn’t help the Adams County and central WI area that the area for more than a decade has seen declines in and around the paper industry. As mills close, both the direct and indirect businesses take a hit, and lose employees, and folks move on to better opportunities. It’s a change that’s been happening for some time (if I recall, the enrollment numbers at Wisconsin Rapids district started dropping as early as the late 90’s I think). It’s never just a simple one to one cause. Independent Guy -Your comments all follow a similar theme. Urban Milwaukee is a lousy place to read and you don’t like it here. It used to be great, but Bruce Murphy has ruined everything. So then why do you read Urban Milwaukee? Why don’t you leave? You are obviously very upset and need to find a better place to comment. I suggest you move to rightwingnews.com. Things are great down there, as they have a conservative editor and a reactionary readership. You will be much happier there. I will buy your ticket for you. hankdog, you are correct about how lowering costs for CAFOs won’t reduce the price of milk. Milk is sold at whatever price the market will bear. If that price is below a farm’s cost of production, that operation will eventually shut down. If that price is above a farm’s costs, the owner keeps the profit (he is not a charity who sells below market). But the operations shutting down won’t be CAFOs, since they have the lowest costs. Instead, lowering milk prices causes high-cost family farms to shut down, depopulating rural areas even more (while providing more land for CAFOs to expand into). But one think I don’t like about CAFO’s is the way they can externalize costs and the locals haven’t figured it out yet. Wells and road repair are just two of many areas where a CAFO operator has an advantage over the smaller farmer. Those issues should be factored into decisions when the local municipality grants an approval for a new CAFO.